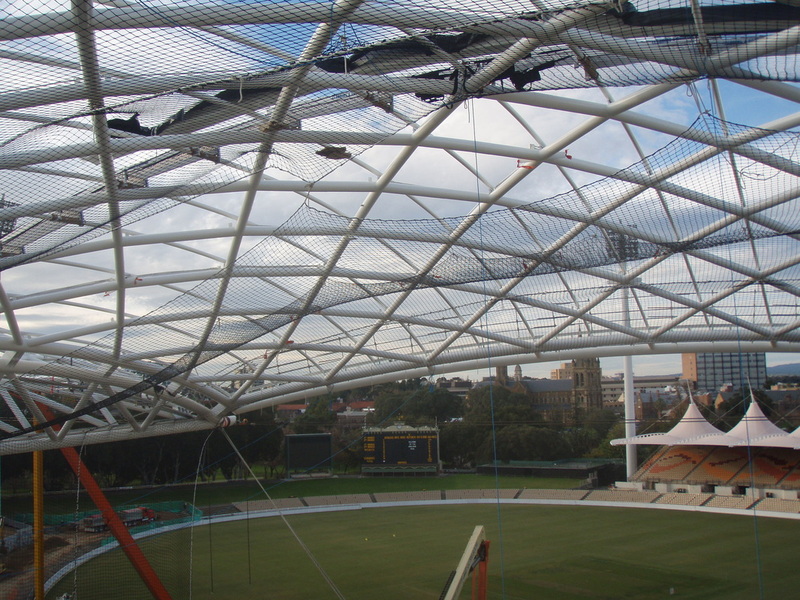 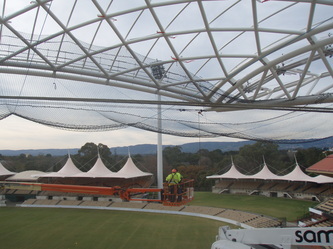 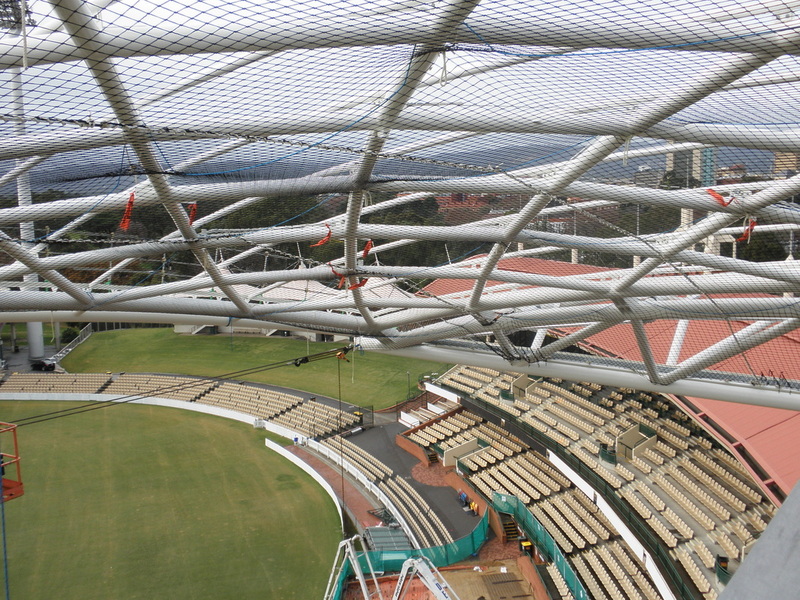 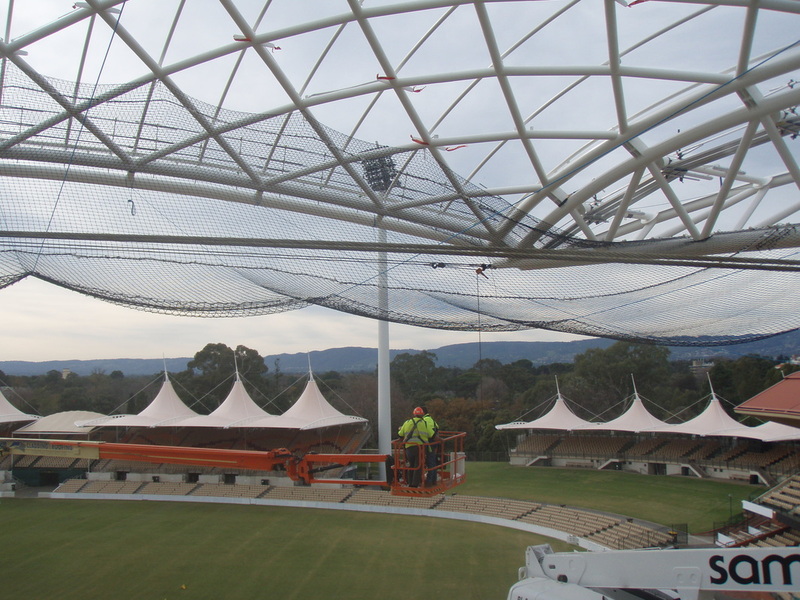 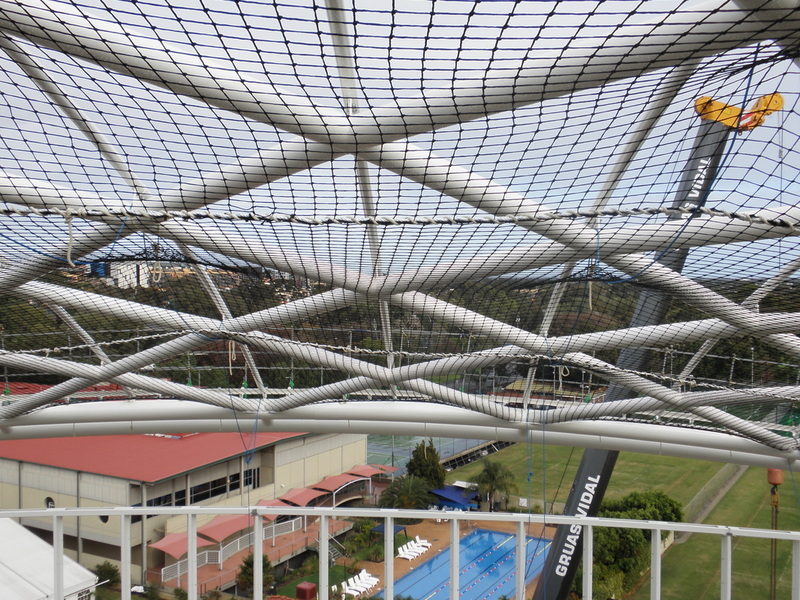 Advanced Nets & Ropes offer Fall Arrest Nets and Safety Netting for both Commercial and Industrial use and we install Australia-wide. Falls are the single leading cause of injuries and fatalities on construction sites. 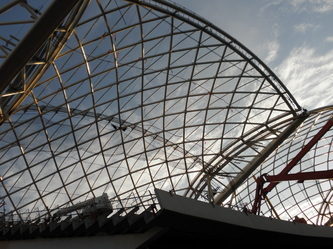 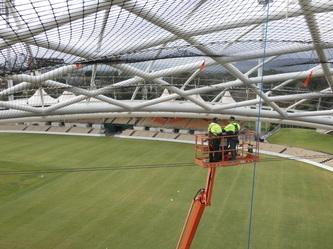 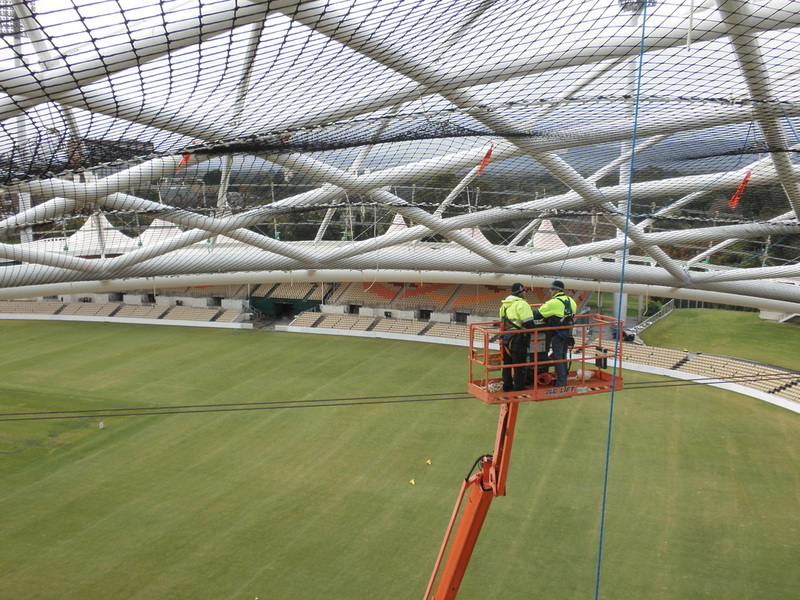 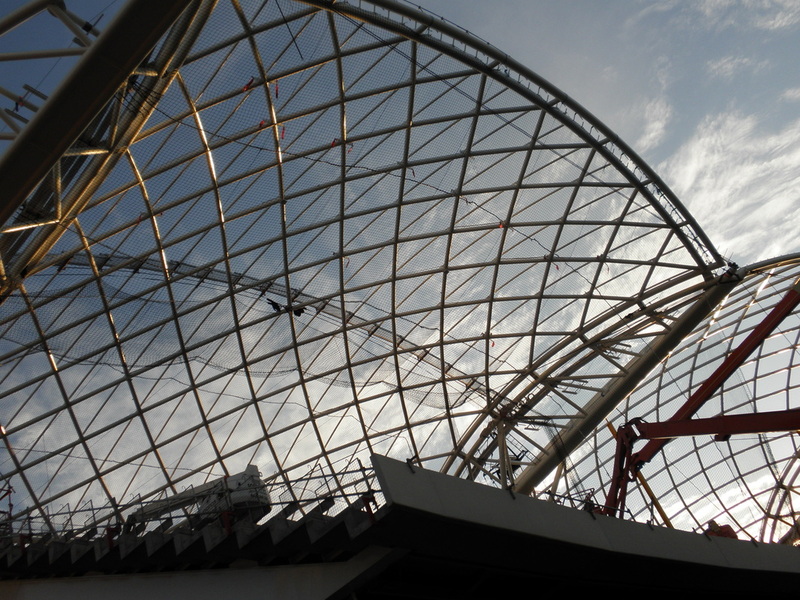 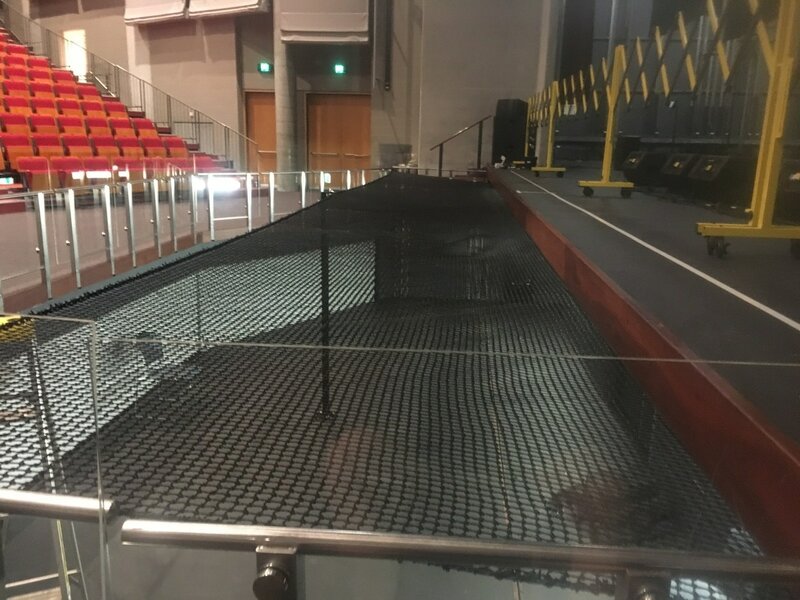 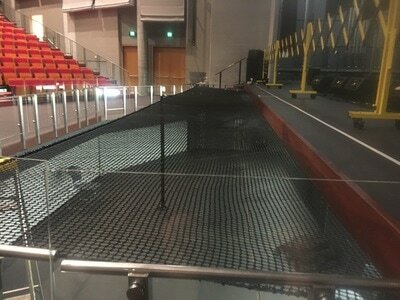 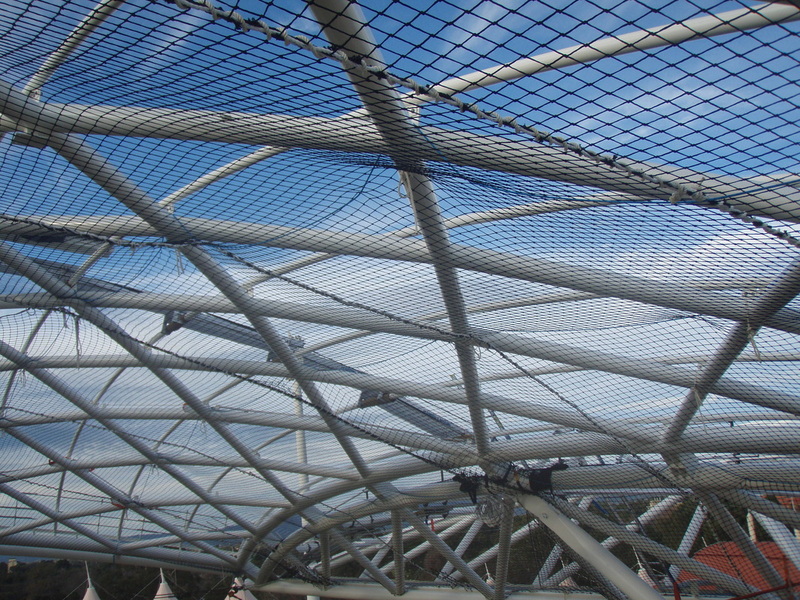 Advanced Nets & Ropes will Design, Manufacture and Install custom netting systems for your safety requirements; including fall arrest nets, barrier nets, debris net, and protection nets. 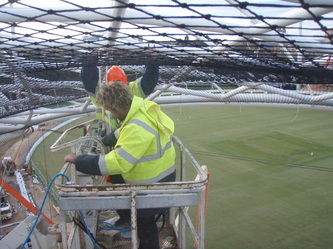 Our experienced team can design and install a site specific fall arrest net system to International Standard BSEN 1263-2, and offer a complete inspection, maintenance and repair service. 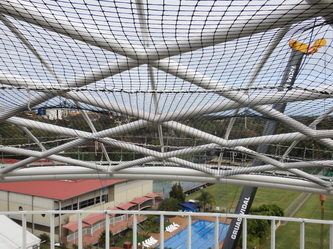 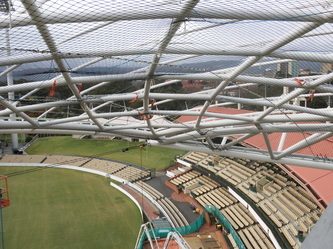 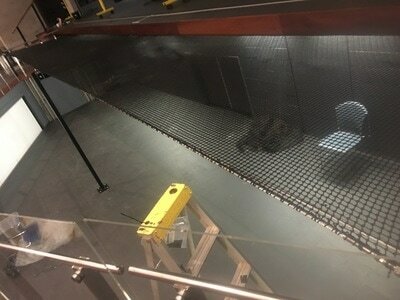 Our installers have completed "Fall Arrest Safety Equipment Training" (FASET) to the above recognized standard for netting design, installation and codes of practice..
All safety netting and fall arrest netting is manufactured from the highest quality materials to suit the harsh Australian environment. 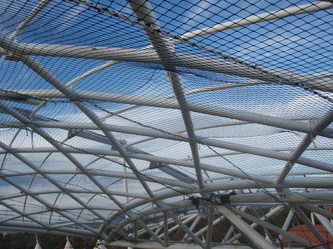 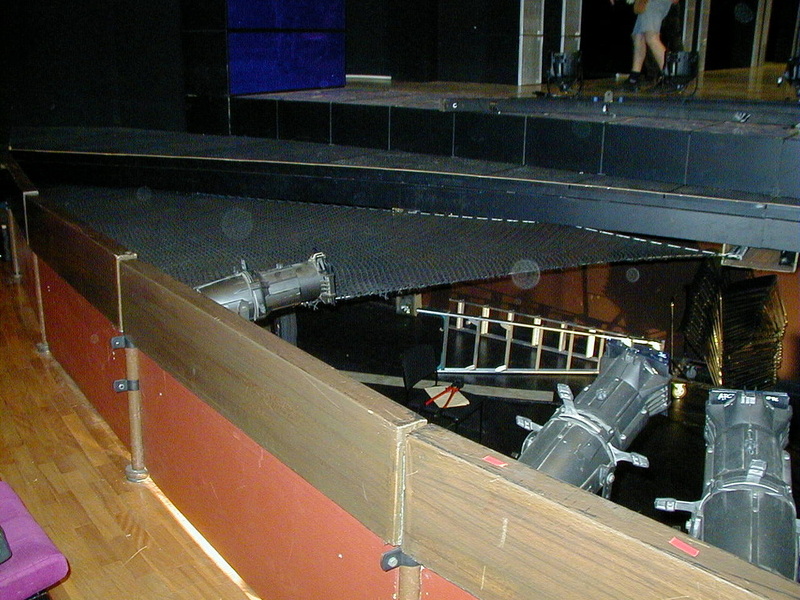 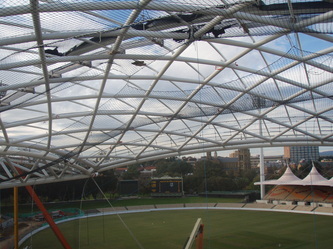 Square mesh orientation is used for safety nets as it reduces the natural sag and allows the net to be rigged closer to the working level therefore reducing fall height. 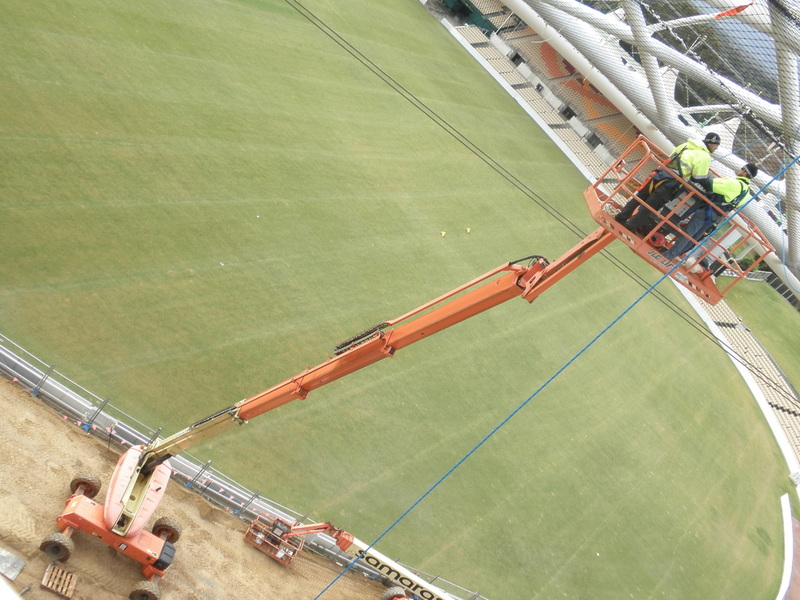 Contact us for more information about how you can move freely whilst working in complete safety at any height on any site anywhere in Australia.